Three transistor fuzz effect, strong sounding. 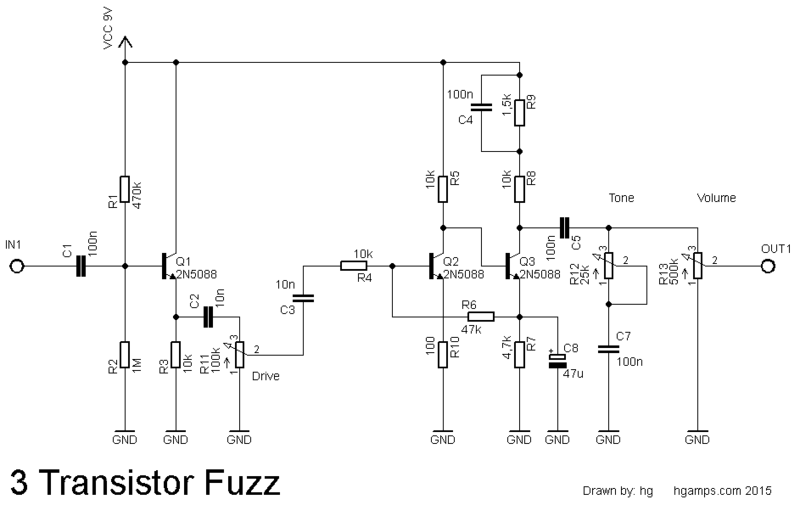 Based on the famous Fuzz Face circuit, supplement with a preamplifier. Tried operating circuit! Q1 2N5088 pre-amplifier transistor can be replaced 2N2222, 2N3904, BC547 type. If you need tougher sound, the Germanium Fuzz Face for you.